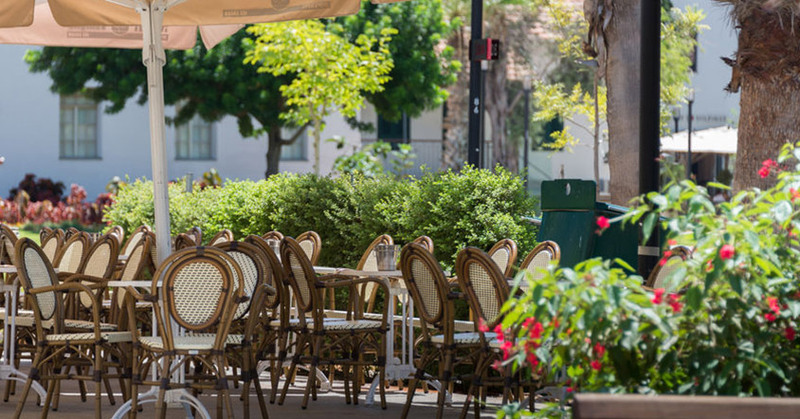 Shaded by leafy trees, the Sarona area was formerly an agricultural colony established by German Templars in 1871. In recent years, its picturesque houses have been transformed into an impressive, and totally different from its origins, venue. The guests of our boutique hotel, especially those to whom the “shop’til you drop” saying sounds familiar, will surely appreciate this unique retail experience. This splendid complex houses shops, restaurants, cafes, ice cream parlors and a gourmet market within grandiose structures. What was Sarona before it became an urban paradise? As the German Templar colony, it was one of the earliest modern villages to be established in Tel Aviv. The handsome buildings, using wide stone in the European style of that time, housed families and small industries and wineries. Following the approval of a preservation order in 2006, thirty six of these structures were restored to their former glory and some even cleverly relocated to accommodate the expansion of a nearby main street. Where to go: Since Sarona is described as Tel Aviv’s new culinary destination, rivaling Barcelona’s La Boquería and London’s Borough Market, there is a plethora of places to go to! FISHBAR: Chef Harel Bello and his fish seller Udi Bechor offer the best of what comes out of the sea. TIGER LILLY: Eating here is like being tele-transported to Bangkok, except that this contemporary Thaï food comes delivered by a local Israeli chef. RAMEN BAR BY AHARONI: One of the most televisual Israeli chefs reinvents Asian cuisine. BASHER FROMAGERIE: Eli Basher offers more than 1200 cheeses in his European delicacies spot. The Sarona Market is open from 9:00 to 22:00. KAMPAI: Lovely street Pan Asian food. Monday to Wednesday, from 12:00 to 23:00, Thursday to Saturday, until 00:00. CLARO: The building, once a winery and distillery, now beautifully renovated. Chef Ran Shmueli offers simple but innovative cuisine for reasonable prices (comparing to other top restaurants in Tel Aviv). 30 David Elazar corner of Ha’arbaa, 23. Open daily from 19:00 to last guest. PICNIC: A very original idea where guests order their food (easy Italian food and salads) from the kiosk and are then provided with a fully equipped picnic basket. Find a comfy spot on the grass for your picnic blanket and enjoy.